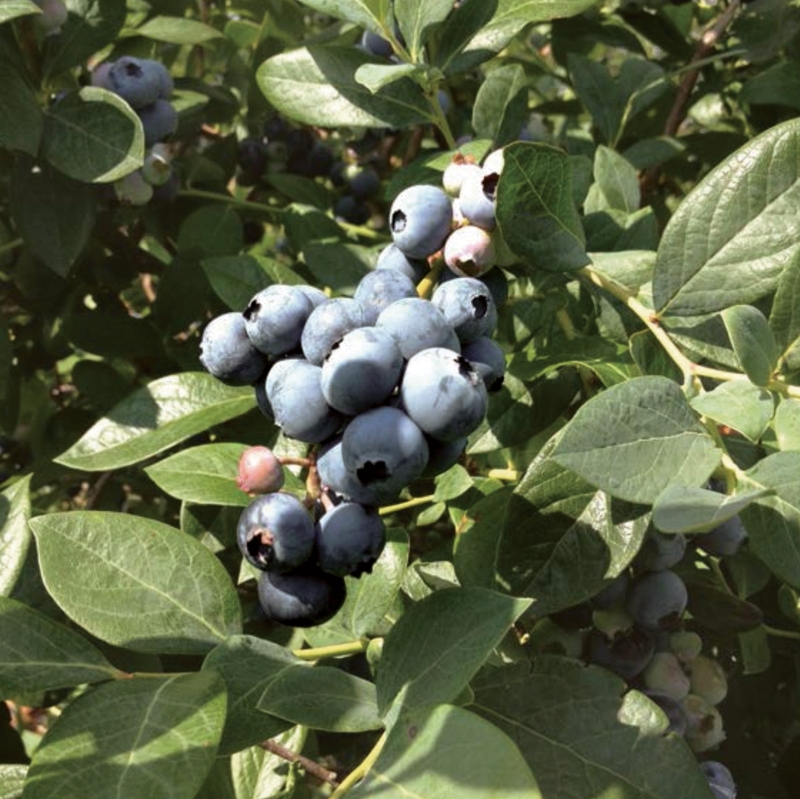 Miss Jackie™ 'TH-917' Blueberries @ Fall Creek Nursery | Plants. Varieties. Farming. A release from the University of Georgia. Miss Jackie™ ‘TH-917’ blueberries have large, firm, high quality fruit and could be a possible Camellia companion. Compared to Camellia, the Miss Jackie blueberry can be easier to manage due to its better leafing. Miss Jackie blueberries ripen later than Star, Emerald, and Jewel, filling a seasonal production gap. Miss Jackie is a possible Camellia companion and fills a seasonal production gap, ripening after Star, Emerald, and Jewel. We recommend trialing before planting commercial quantities of Miss Jackie.